Okay, and it's actually a gif. Of Bobby Darin and Sandra Dee dancing at a cocktail party thrown by Lana Turner. It's so ADORABLE! 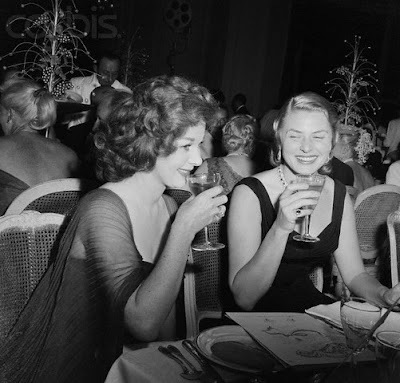 Ingrid Bergman and Susan Hayward together. They both look gorgeous. 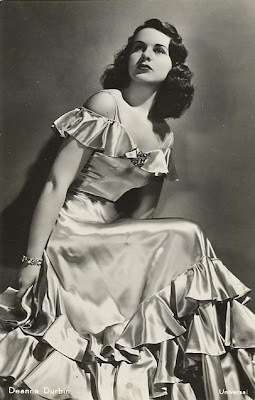 And I especially love Ingrid's hair-style! 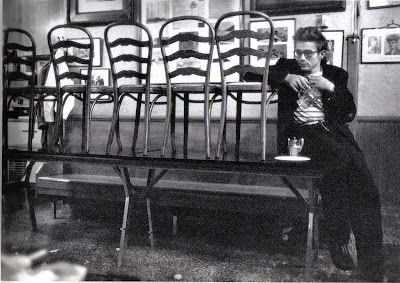 James Dean looking super cool and modern as always. This shot actually looks almost identical to my oldest brother! And I am not even kidding! 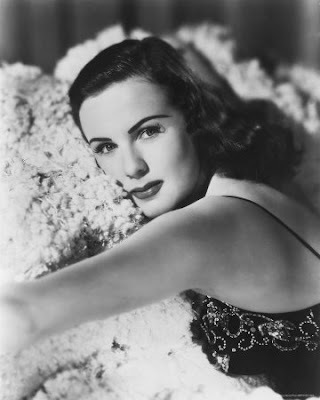 A loverly photo from DEANNA DURBIN!!!! I am so excited right now, so expect me to be even less lucid than normal. 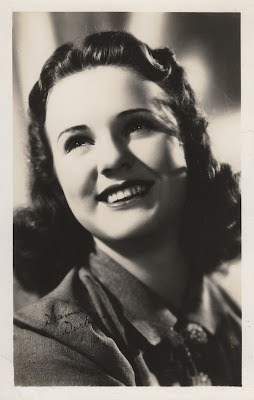 I just received a personalized and signed photo, all the way from France, from Deanna Durbin! I am so, so, so, so ecstatic right now! I have wanted to write to her since I was seven. I finally got up the courage to do it and sent it away three weeks ago. 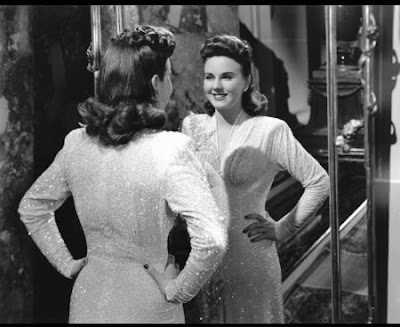 Today my dad brought in the mail and there was small thin envelope addressed to me from Deanna Durbin David! Anyways, I am super happy about this. 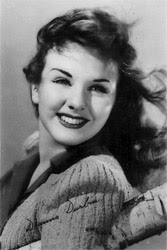 She was my favorite actress when I was six, seven, eight, nine, ten, and eleven! I have seen all of her films, but one. This one makes me LAUGH! 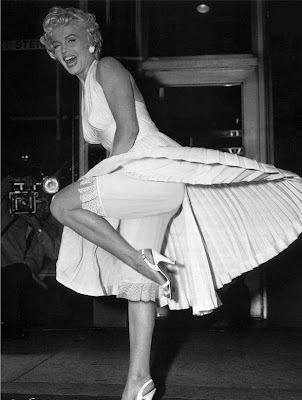 It's Marilyn Monroe in the famous scene from "The Seven Year Itch". Before it was approved for her to wear underwear. I stole this from Mongo's Candids over at the TCM message boards. 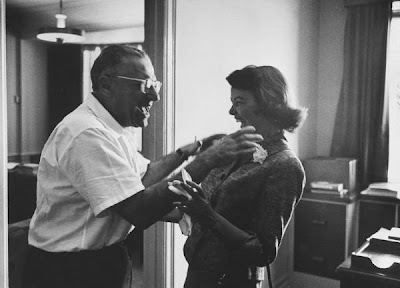 Gene Tierney is SO happy to see George Cukor in 1958. Help, my dear blogger acquaintances! I was bored and decided to randomly update my "question". So, I did, but suddenly I look and the list of all the blogs I follow is gone (it is still saved in my dashoboard), but how come it won't show up on my profile and how can I remedy this? Please, please, please tell me! I have tried everything! The results for my poll "Who was the best Gidget?" are in. We have Cindy Carol (Gidget Goes To Rome) with her rightful ZERO votes...hahaha! I really just hate her as Gidget. And that movie made me sad too. 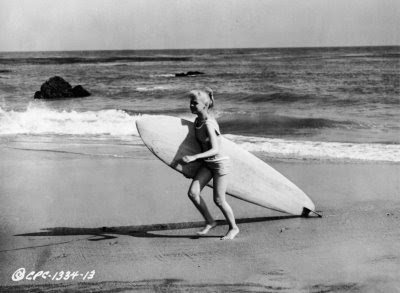 Cindy Carol was THE worst Gidget ever. 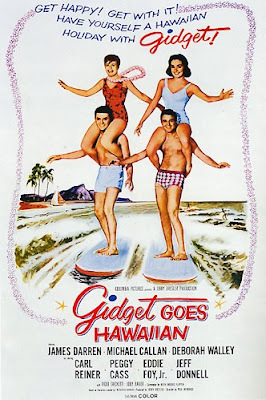 And Deborah Walley (Gidget Goes Hawaiian) also has zero votes. I don't have really as much hate for her as I do for Cindy Carol. I think she did an okay job. 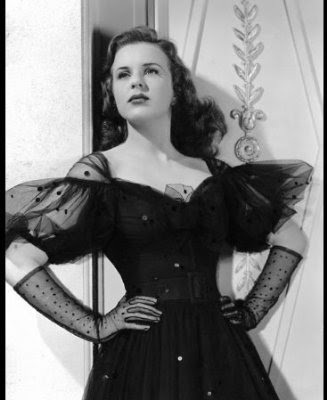 But, she was a little too brash and confident for Gidget. Also she was very tall (as tall as Moondoggie). 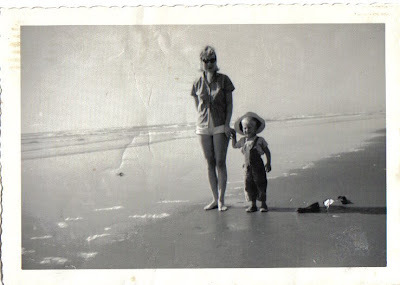 The purpose of being called Gidget is because you are a "girl+midget=Gidget". 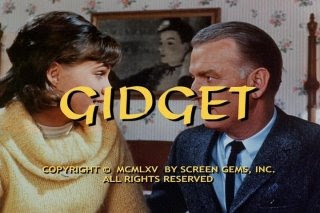 She was NOT a Gidget. Otherwise she was great and very entertaining. 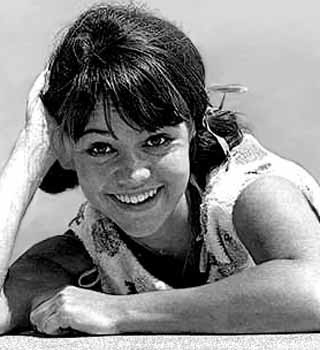 Then we have Sally Fields (of the TV series) with one vote. Alright, who voted for her? Just come on out in the open! We won't hurt you...much. ;-) Just Kidding. If you like Sally Fields the best, that fine with me...sorta. Sandra Dee with an impressive 12 votes! I agree with this answer. Sandra WAS Gidget. She was the original and she was the best. She perfectly showcased Gidget. 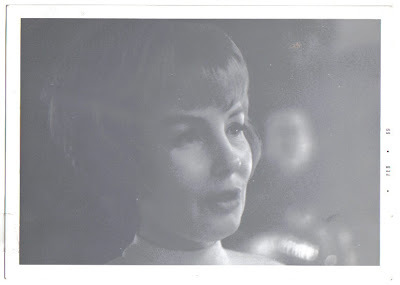 She wasn't as annoyingly naive as Cindy Carol nor as brash as Deborah Walley. And she actually embodied Gidget. She was a short, tiny, adorable, blonde! Um, this above one was a pose for certain posters. 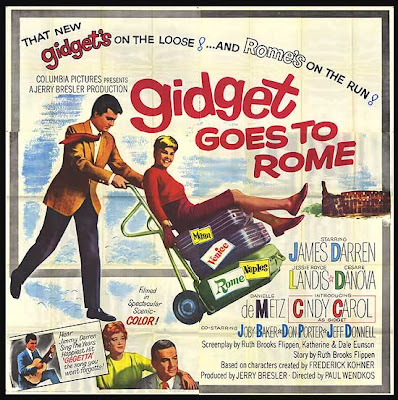 Because the poster taglines were: "Watch out Brigitte [Bardot]... Here comes Gidget! Yeah, I am glad Sandra won! Do, join me for my next poll which will be up shortly. Stupendously cool photo of Grace Kelly. She is SO gorgeous! 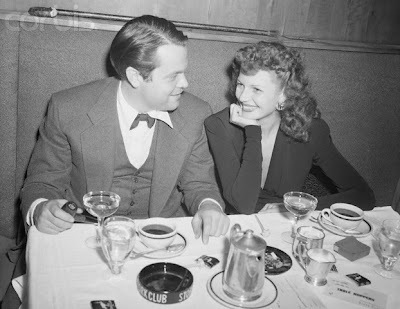 Orson Welles and wife Rita Hayworth at the Stork Club. So adorable! 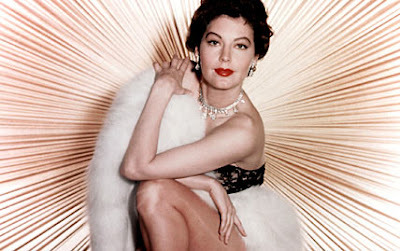 Ava Gardner. No info about this photo at all. Except, that it fascinates me...I mean that really is a hypnotizing background. Marilyn Monroe reading a script. I know this shot is pretty famous, but I just love it and had to post it! Hud and That Funny Feeling...semi-reviews! There may be some spoilers...but I will try not to give out anything very important. These are two very different films made only two years apart. 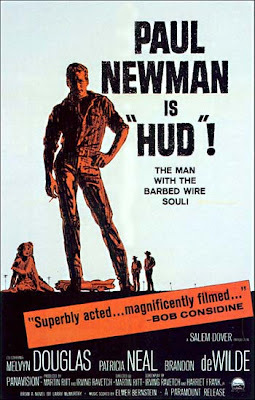 Hud is a dark, dreary, superbly-acted, Oscar-winning, drama. That Funny Feeling is a light, bubbly, superbly-acted, non-Oscar nominated, romantic comedy. There are also two other main differences. Last week was the first time I saw Hud, whereas, last week was at least the thirtieth time I saw That Funny Feeling. First, I will share my thoughts about Hud. Or at least what I remember, after being gone over the weekend. I was prepared to be depressed by this film...and it did not disappoint me on that angle. But, it was also quite mesmerizing. Completely and oppressively bleak, but also completely open and honest. If that makes any sense and I doubt it does. The James Wong Howe cinematography was absolutely gorgeous! It was both bleak and honest at the same time. 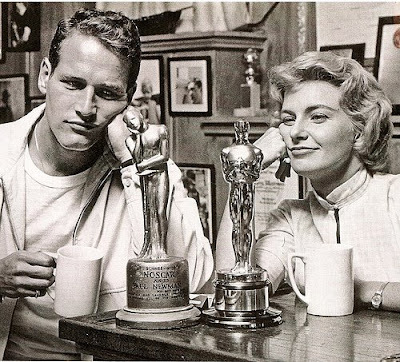 I thought all the acting was excellent as well, although, I have always been a little angry about Melvyn Douglas' Best Supporting Actor win, because he beat out Bobby Darin in that category (Captain Newman M.D.). Errrr! 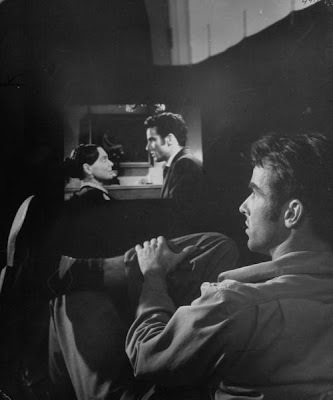 Patricia Neal was stand-out, she definitely deserved the Best Actress Oscar. Her performance was very mind-searing. I think probably for me...the most memorable role of the film. Anyways, in conclusion (yes, I know, this was completely disjointed and confused, but I told I can't write a real review to save my life), I thought this was an extremely well-made film. A definite classic and a must-see. Not my favorite, but still classic. And the actors were amazing! Now, onto That Funny Feeling. I ADORE this movie. It is SO joyful! It just makes me cheerful and happy to watch it. The actors are superb. 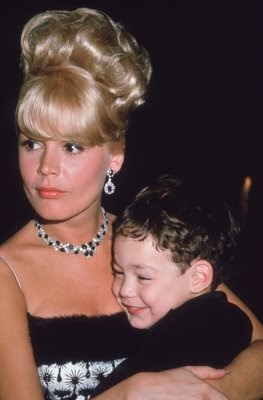 Sandra Dee and Bobby Darin are so amazingly, talentedly, gifted in comedy...it is fascinating to watch them work. For supporting players you cannot get much better than Donald O'Conner, Nita Talbot, Larry Storch, and Leo G. Carroll. And they all gave excellent performances in this film. I can seriously quote this film by heart...I'm kinda weird...unless you haven't already noticed...LOL. But there are just too many excellent one-liners. I would explain the premise and structure of the film, but that is completely impossible. I have tried before. It's almost Screwball in it's nature because of it's chain-of-events craziness. Quite hilarious. I absolutely, recommend this film to anyone. If only to see Bobby and Sandra together, and the great Donald O'Conner, and the wacky story-line, and the great one-liners, and the catchy title-tune (written and performed by Bobby himself). Hehehe, this review was more confused and disjointed than the last one. And that's just because I had an entire review worked out and now I am really tired and cannot remember it at all. This is a still from the scene where she is taking a bath. Does this at all remind anyone else of Bridgette Bardot? I know that sounds strange, but it kept making me think of that. Well, thanks for reading these weird, crazy, strange semi-reviews...if you did. Once I remember what I wanted to write I will edit this post. 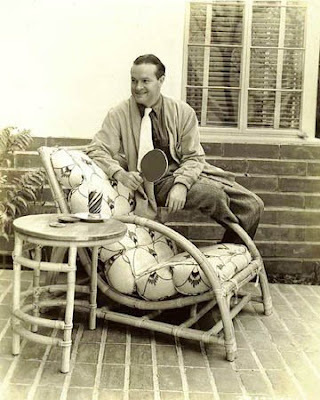 Bob Hope with a very...um...interesting expression on his face. I told one of my younger brothers that he could pick out the photo for today. He just loves Bob, so this is what he chose. 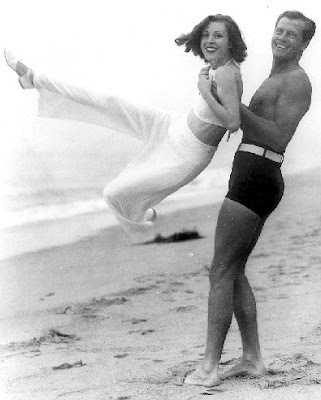 A loverly shot of Joel McCrea with his wife Frances Dee. 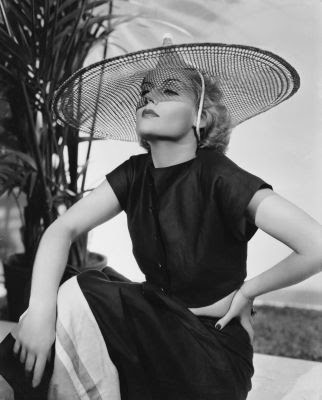 Carole Lombard in a way-too-cool hat! The results for my poll: "Who was the best dancer?" This was a very interesting and debatable poll, but I felt confident about the outcome. 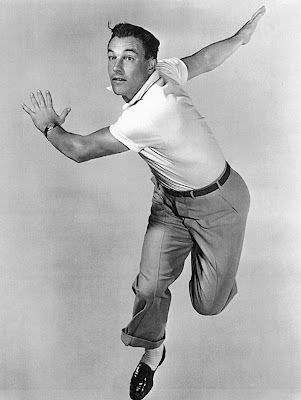 Gene Kelly won his rightful place as the resident number two, with 5 votes. 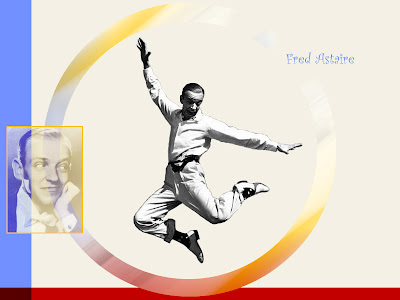 Mr. Fred Astaire won with 10 votes! I knew my fellow bloggers were clever! Now, nothing against poor Gene, he is number two after all...and most wonderful! 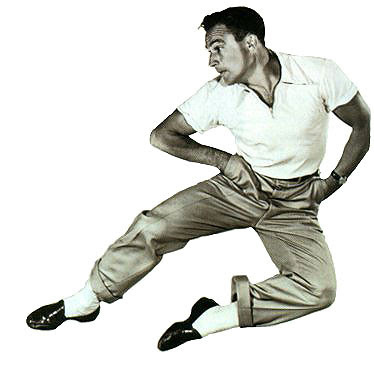 But, Fred is completely, stupendously, amazingly cool! Do join me for my next poll which I am trying to think up right now! P.S. Sarah and Harly, just imagine if Mizzini (a.k.a. MissMusical) was here right now? She'd have a fit...LOL! My dearest blogging acquaintances: I shall be taking leave of you for a few days and will be back on Tuesday. I thought I would post a few photos to cover me until then. 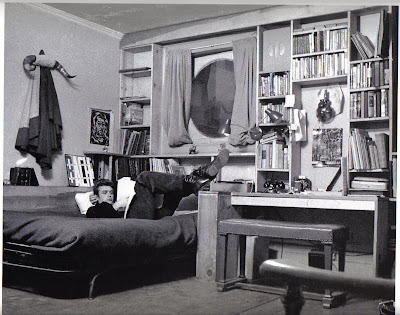 James Dean at his apartment. This is actually from my 2009 calendar, which my dear friend got me for Christmas. The strangest thing about this exchange was that I bought her "East Of Eden". 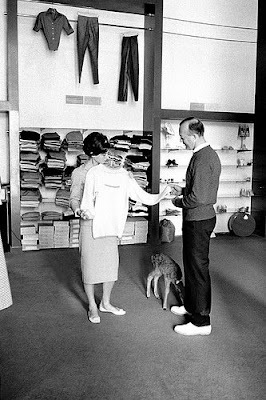 Dear, Audrey shopping for clothes with her pet deer, Ip. When, I return look for semi-reviews (only, semi, because I couldn't write a proper review to save my life; I usually just end up sharing what I liked or didn't like or why is amazed me or why is annoyed me) of "Hud" and "That Funny Feeling". 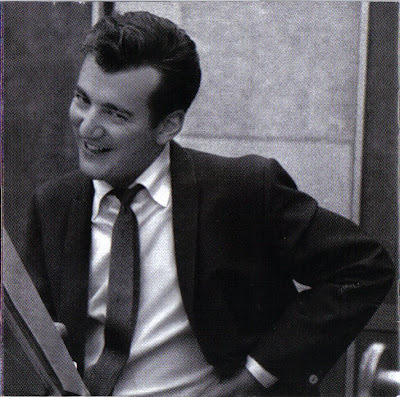 Aww, my darling, Bobby Darin! 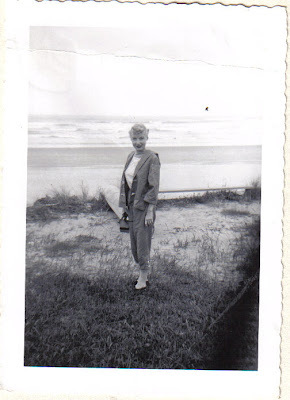 My Grandma was just gorgeous and she is such a style inspiration to me. 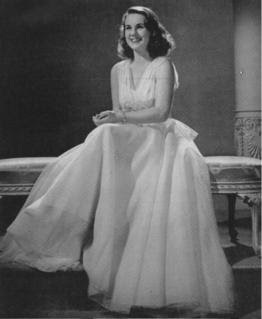 Sadly, she died just a few years before I was born, so I never got to meet her. But, I feel as if I know her thanks to loverly stories and beautiful photos. In this blog post I will posting a few pictures of her that are just amazingly cool! 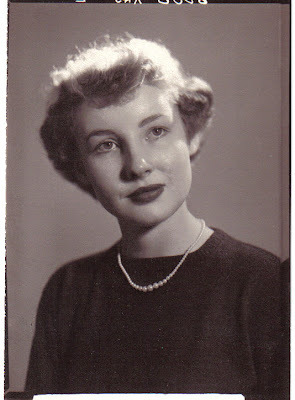 Her high school graduation picture (1951). You can totally tell that she was 100% Finnish! 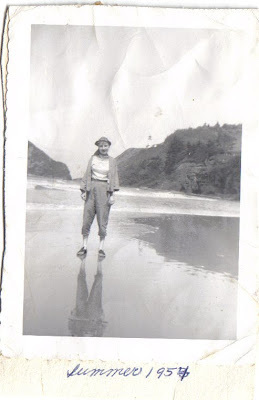 I just LOVE this outfit (photos taken in '54)! 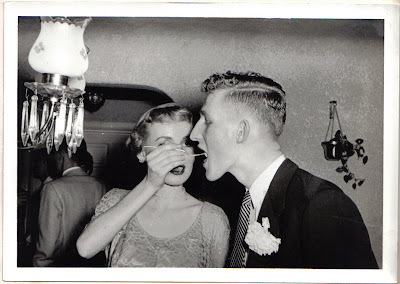 It's so adorable and completely fifties! '52. 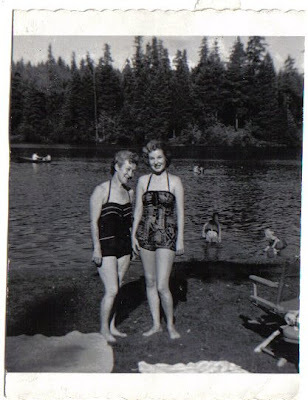 According to my mother, my Grandma always had these amazingly cool swimsuits (she lived on a lake...that's where my mother grew up), but she never went in the water. She would just sit and sunbathe for hours! 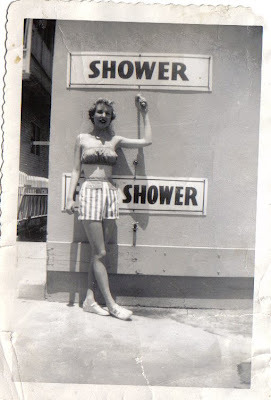 Mid-fifties. 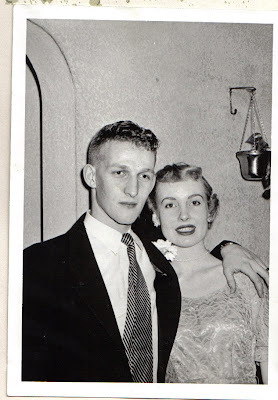 My Grandma is the one on the right. Her face looks rather distorted in this...it's only because of my extremely annoying and idiotic scanner! This one I love. I just adore that outfit! 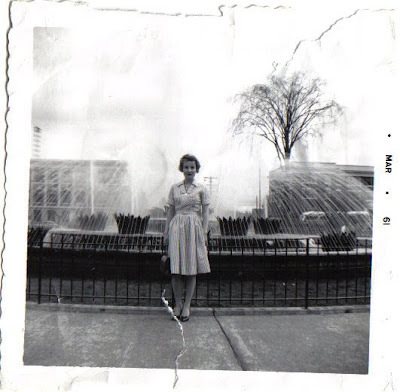 My guess is this is about '59. 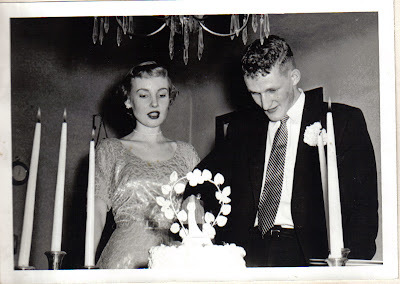 Her wedding to my Grandpa in '54. 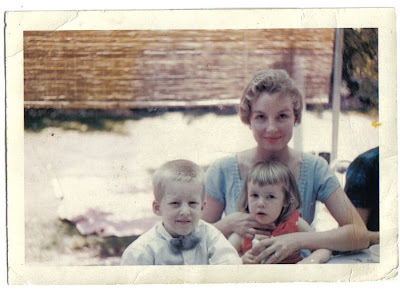 That belted dress just screams fifties! 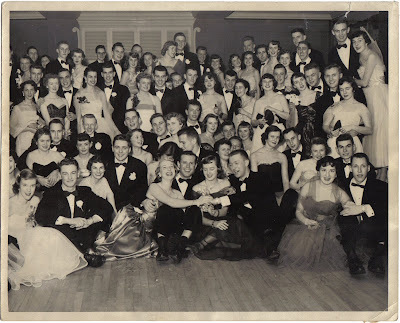 A formal in '53. I wish I could enlarge this without hurting the quality! Some of the dresses are just gorgeous. And I swear one of the girls is Bette Davis! Probably my favorite outfit of this bunch! An adorable dress. '61. 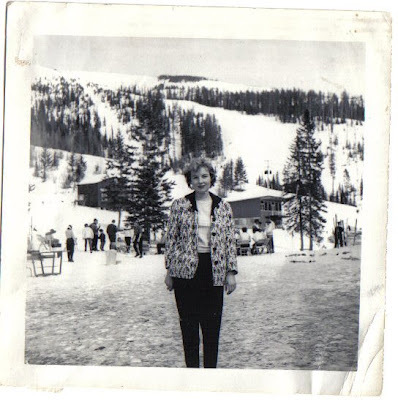 My grandma was probably the only person ever who went skiing often just to go sit in the lodge (in her incredibly cool ski outfits) while the rest of her family went skiing! Hahaha! 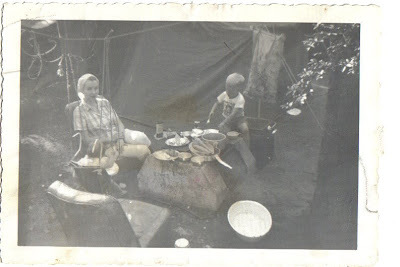 Camping trip in '59. Wish I could enlarge this one too. It's just loverly! Costume party in '53. 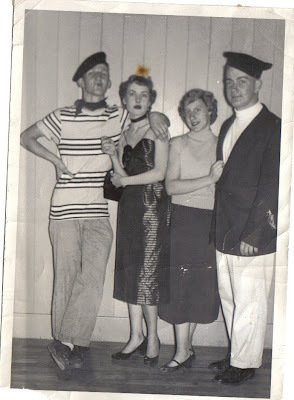 (My Grandma is the second from the left.) Methinks, this has something to do with France. 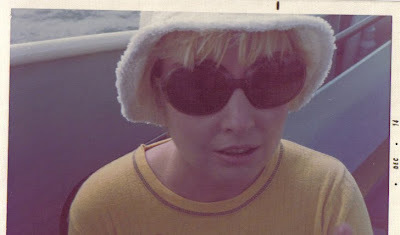 My Grandma in '74. I included this shot because those sunglasses are like the most amazing ever. They deserve to be on my Sunglasses list! Those were just a few shots of my Grandma. So beautiful and stylish and sweet! I wish I could have met her.